Matt, Ben and Nick are back in studio with special guest star Ryan Alexander “Hamilton” to talk about all manner of movies that go boom! These four brutes get in touch with their brawny side as they tackle the subject of manly movies. After a brief 4 hour history of the medium, the gang takes a hard look at their favorites from the past and where they think the genre is headed. 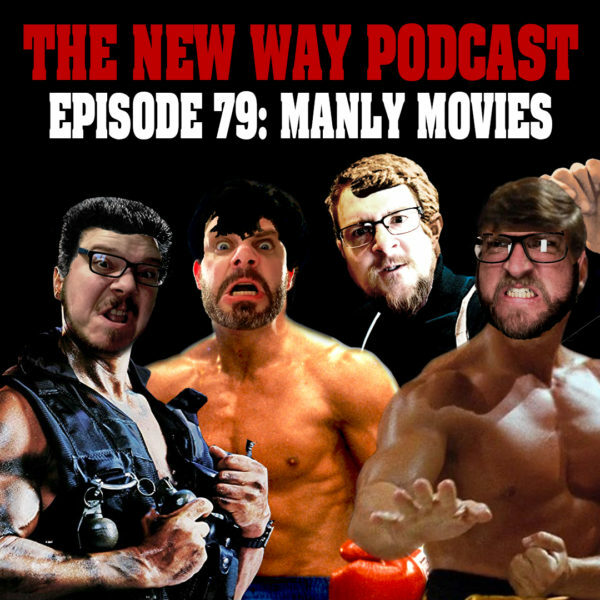 It’s more man than you can handle on this week’s The New Way Podcast – Episode 79: Manly Movies!